HPLIP supports more than 2000 Printer models including all business model, inkjet, laser and etc.. , you can also chek the list of supported devices in here. 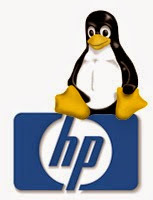 The Latest Version of HPLIP is 3.16.2 released recently and comes with the following fixes and changes and Latest Linux distribution Linuxmint 17.3 and Debian 8.3 support they have added. Queue configuration using 'hp-setup' command is no more supported for HP ScanJets. Scan frontends like xsane, hp-scan, scanimage, simplescan will automatically detect usb and network ScanJets.